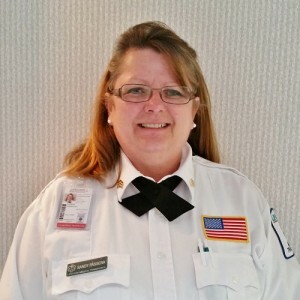 Sandy Passera came to LifeCare in 2011 to learn more about EMS so that she could better understand the passion that her sons, Michael and Ryan, had found in the Fire and EMS industries. She started her career with LifeCare as a Call Taker, and it wasn’t long before her outstanding leadership and innate customer service skills began to strengthen the Call Center operations. It was Sandy’s excellent skills and dedication that lead to her promotion to Corporal of the Call Center. It was during this time that she took charge of the Call Center training process, and began training all new Call Takers, as well as providing the first level of training to all new Dispatchers. Sandy currently oversees Call Center operations in her role as Sergeant. She tirelessly manages the department, answers calls, and trains Call Takers and Dispatchers in the precise work of the department. This is no small task. The LifeCare Call Center takes calls for its entire state-wide operations with a projected volume in 2016 of 80,000 transports. The Call Center is a welcoming place because Sandy sets the stage for excellence in customer service for all of LifeCare’s customers – both external and internal. She decorates for every holiday, and ensures that her employees feel appreciated and empowered to do great work. They respectfully refer to Sandy as the “mom” of the Call Center.